Campers who have been to previous PACAMPs will be required to re-register. If you have already registered for PAC2020, click here to login. IMPORTANT: To simplify the online registration process, we will assume that you have your Captain's approval to attend camp. It is your responsiblity to check that your Captain will approve you attending camp, prior to you registering. Otherwise you may be disappointed if your approval is later declined. Registration for PAC2020 is a single step process, with two pages of information to complete. The first page will be your personal information (name, address, etc), and the second page will be specific camper information (accomodation preference, shirt sizes, etc). On completion of your online registration, you will immediately be presented with your camper number, and payment information. These will also be sent through by email. Separate registrations are required for every person. Email address and phone number are mandatory to complete the registration process. Members in the same family can share a common email address and phone number. Campers who have been part of the special pre-registration drawer will not need to re-register. Those campers will receive their login details via a separate email from the PACAMP registrar. 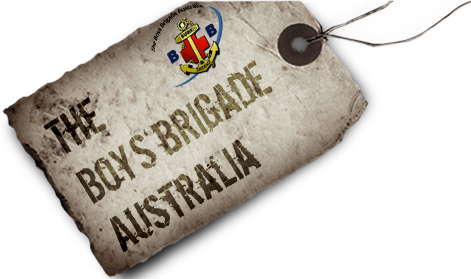 For those having problems with online registration, please contact the PA Camp Registrar on pacamp@brigadeaustralia.org. Assisted and paper based registration processes are also available. We will be endeavouring to include both camper and alternative contact emails in any mail-out of resources or information. Used for pre-camp contact (if required). Used for on-camp contact. For example, a message to all campers.